Tis’ the season to restore and refresh with a bit of glam and a hint of spring. Be it cashmere or cotton, the perfect wardrobe changer is an easy throw over Ruana from Minnie Rose. 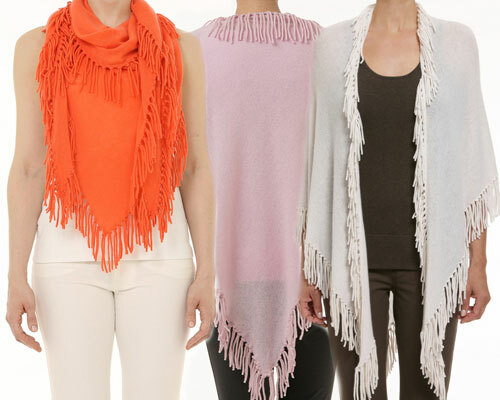 100% cotton with a fringed hem, This soft lightweight throw delivers a fashion punch in ice white, chili pepper red, indigo blue, ivory or taupe. At $159, and one size fits all, it’s a great addition to any lifestyle or wardrobe!